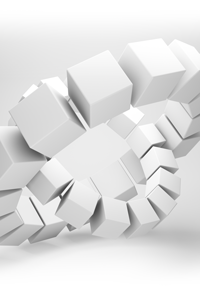 From osseointegrated implant systems to biologically integrated implant solutions: the GTB system lays the basis for the future of implant prosthodontics. In the last few years, knowledge about implant systems has deeply progressed, allowing for perfect preservation of crestal bone level, for improved functionality under load and, more generally, for increased biomechanical performance of the entire system, formed by the endosseous screw, the prosthetic abutment and peri-implant bone behaviour. However, the best result can be achieved only if the essential elements that influence both bone behaviour under load and the implant-abutment system are simultaneously present. Double-lead, progressive and modified reverse buttress thread design. Fast insertion, primary stability and perfect load transmission. Increased bone to implant contact (BIC). The GTB implant features a double-lead, variable reverse buttress thread design (from triangular to trapezoidal), a fluid discharge notch and a cylindrical collar to avoid compression of the crestal cortical bone. The innovative platform with its complex design, which is developed both horizontally and vertically (patented platform shifting), increases the available surface for osseointegration and has an active role in the occlusal load distribution. The conical connection has proven to be the best choice for stability and excellent load transmission. Moreover, it features an octagonal index to ease prosthetic stages. 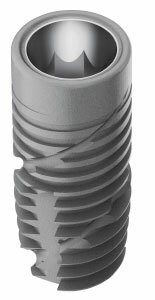 The profile of prosthetic components leaves a considerable amount of space for the growth of peri-implant soft tissues to seal the connection. It is possible to use the same prosthetic component in all implants, regardless of the implant’s diameter. 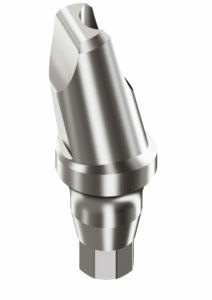 The high precision of the conical coupling between the implant and the abutment guarantees the complete absence of micro-movements between the two components even under load, thus reducing uncontrolled bone overloads and eliminating the risk of microgaps and consequent inflammation of peri-implant tissues. The creation and maintenance of an antibacterial seal reduce the risk of inflammation of peri-implant soft tissues and consequent bone tissue recession.